$6.73 New In stock! Order now! 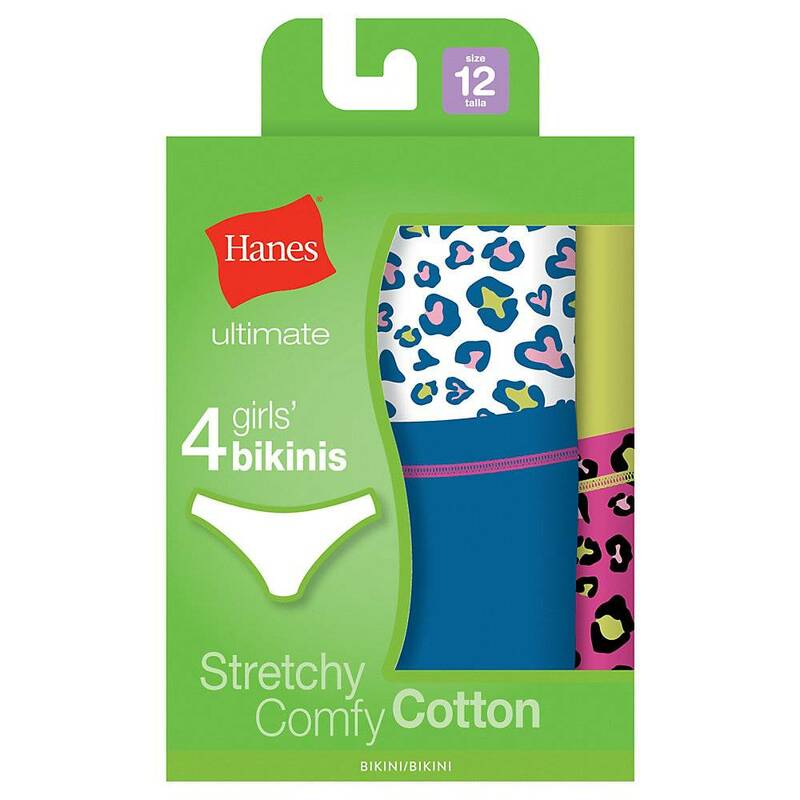 Short Description: Hanes Ultimate™ TAGLESS® Cotton Stretch Girls' Bikinis 4-Pack Style# GUCKP4 contain 4 per pack and fabric content; 97% Cotton/3% Polyester. 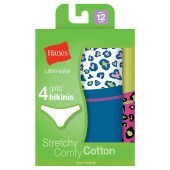 Information: These Cotton Stretch bikinis were made for girls on-the-go!Cotton Stretch fabric has a touch of spandex for move-with-you comfort.ComfortSoft® waistband is softer on the skin.Tag-free for itch-free comfort.No ride up leg bands.Bikini styling sits slightly below the hip.Assorted colors and prints available in a convenient 4-pack.